A typical furnace must be operating without making any strange noises or smells. However, if it emanates unusual odors, it is an obvious sign of a serious issue within the system. Wondering why your furnace smells bad? Here are six (6) distinct odors that can put you and your system at risk if not given immediate attention. 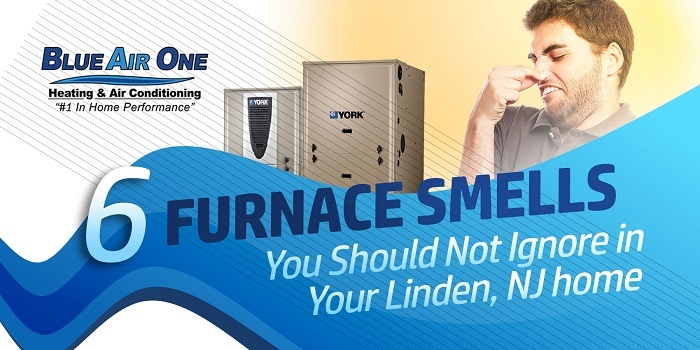 Have you noticed a metallic odor coming from the furnace? It could mean that some components inside the system are overheating. The smell is the same as burning rubber or metal which can cause it to short-circuit or even cause a fire over time. Shut off your furnace and call for service immediately to resolve the issue. A burning smell accompanied by tobacco-like smoke indicates an electrical issue, a minor oil leak or serious damage to the furnace. Save yourself and your family from danger by calling your technician as soon as possible. Do you get a strong whiff of pet waste every time you turn on the furnace? If yes, do not delay scheduling an inspection on the floor level vents or registers of the unit. A professional cleaning service is all you need to eliminate the odor. If the furnace emanates the odor of sewage water, there is a strong possibility of a broken wastewater line or open sewer line located near the unit. To determine the source of the smell, your technician should check the external vents. You might need a plumber for this one. Another serious concern for furnaces in Linden, NJ is the smell of rotten eggs. Commonly, HVAC manufacturers install an odor-inhibiting material on the system, so there is no reason for your furnace to smell like decaying eggs. But if it does, it could be a gas leak. Consult your HVAC contractor for this problem. The infestation of mold inside the ductwork causes this smell. And, you should take this issue seriously. Mold can reduce the quality of indoor air and cause you to suffer from sneezing, asthma and other flu-like illnesses. You need a duct cleaning service to eliminate mildew and mold and prevent them from coming back. If you notice any of these six odors from your furnace, give us a call at Blue Air One, Inc. We will get to the source of the problem and provide quality solutions right away.